This book is intended for all levels of Data Science professionals, both students and practitioners, starting from novice to experts. Novices can spend their time in the first five chapters getting themselves acquainted with Data Science. 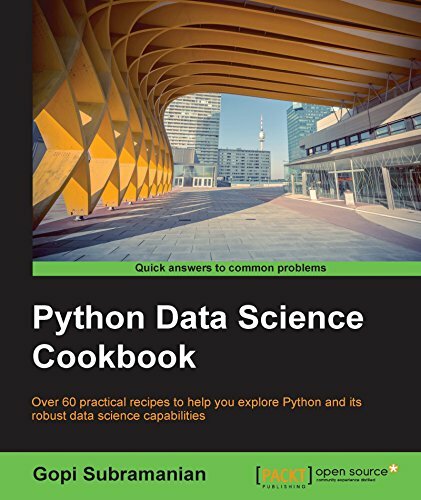 Experts can refer to the chapters starting from 6 to understand how advanced techniques are implemented using Python. People from non-Python backgrounds can also effectively use this book, but it would be helpful if you have some prior basic programming experience. Python is increasingly becoming the language for data science. It is overtaking R in terms of adoption, it is widely known by many developers, and has a strong set of libraries such as Numpy, Pandas, scikit-learn, Matplotlib, Ipython and Scipy, to support its usage in this field. Data Science is the emerging new hot tech field, which is an amalgamation of different disciplines including statistics, machine learning, and computer science. It's a disruptive technology changing the face of today's business and altering the economy of various verticals including retail, manufacturing, online ventures, and hospitality, to name a few, in a big way. This is a step-by-step recipe-based approach to Data Science algorithms, introducing the math philosophy behind these algorithms.